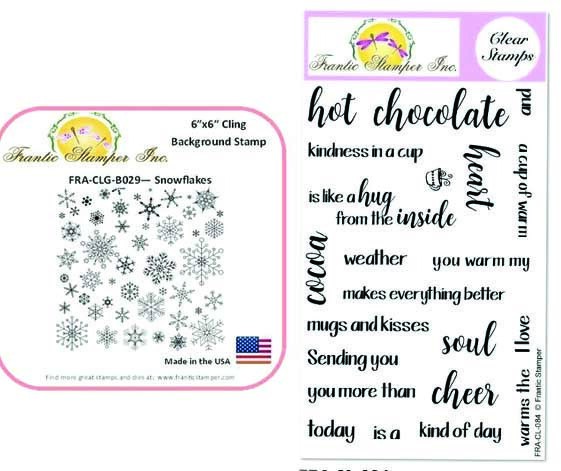 Frantic Stamper.com has these amazing coordinating stamps and dies and also carries top-named brand paper craft items, dies and stamps from other companies. 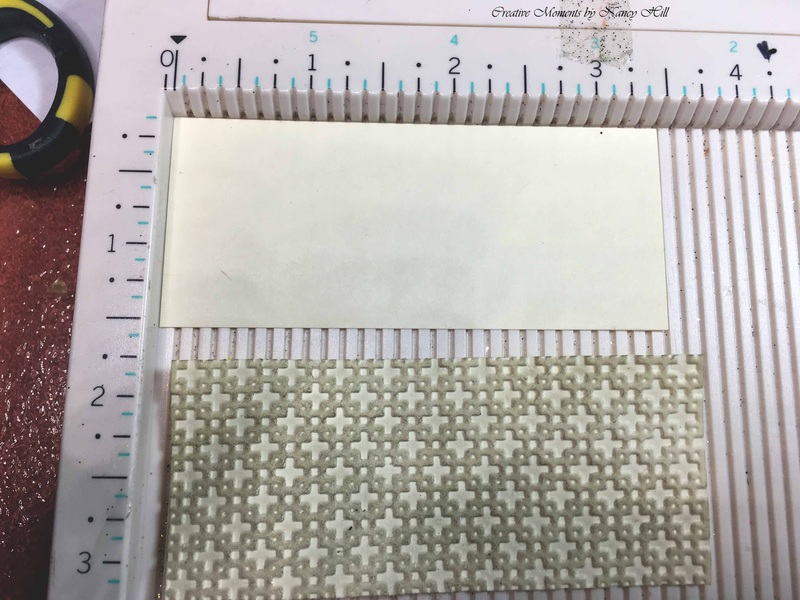 Frantic Stamper has great customer service and fast delivery. 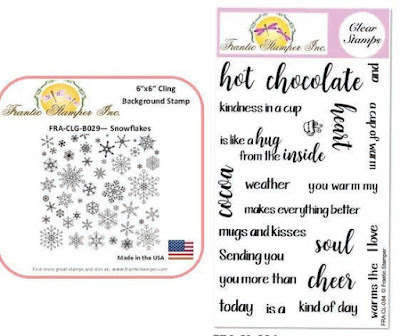 I am sharing this tutorial and new dies and stamps from the Frantic Stamper Winter Theme found in October's folder. Once a week, a couple groups of my friends and I go out for coffee and tea at coffee shop. We celebrate birthdays and holidays at that time. 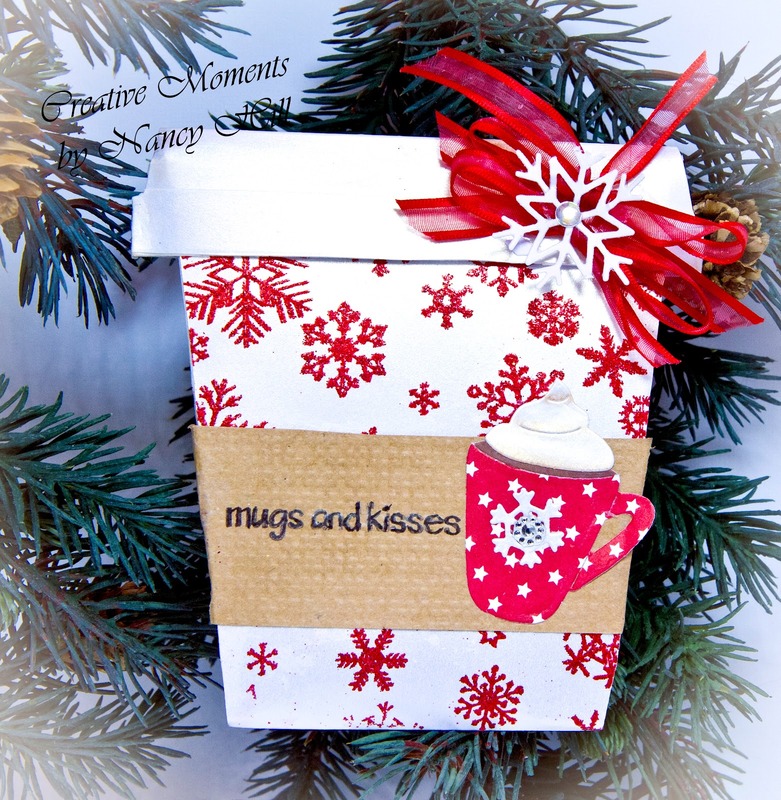 I designed this paper coffee mug to hold an envelope full of chocolate, coffee or tea besides holding a gift certificate or card. After having so much fun making the first one, you will not want to stop making more. I hope you enjoy this tutorial that I created for you. 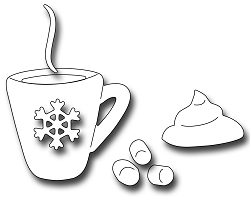 1) MUG: Cut 4 ” x 9 1/2” cardstock. If you are wanting to emboss or stamp the mug, it is best to do this after cutting this rectangle out before assembling the mug. 2) Measure ½” on both sides on bottom of folded cardstock and mark. 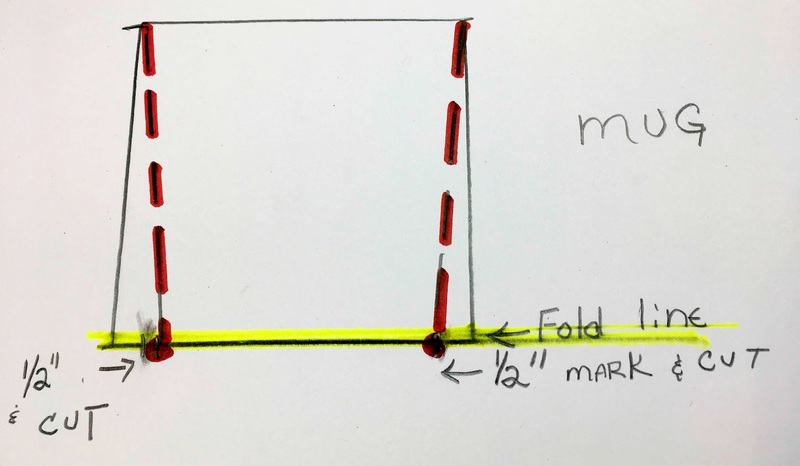 Draw a line from the top to the ½” mark below. Cut bottom mark to corner of top on each side. ½” length. 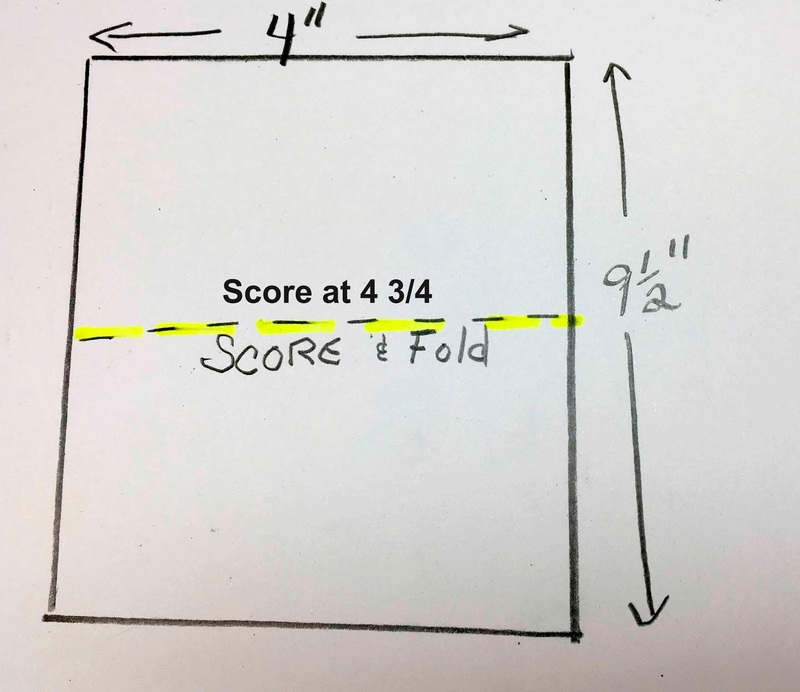 Fold each score mark. 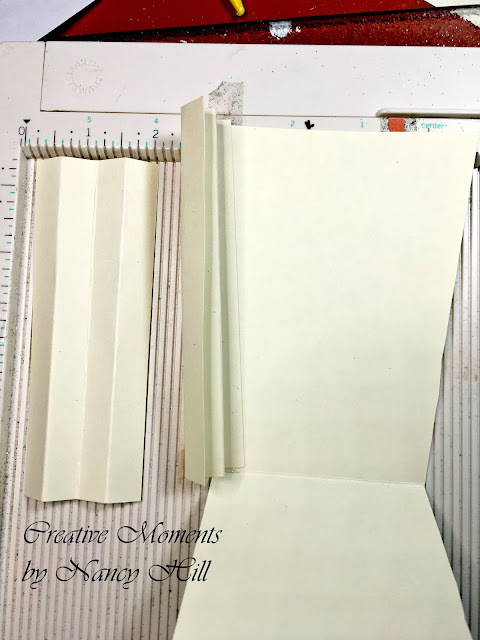 4) Using double-sided tape, Scor-Tape preferred, on both ends of the scored cardstock, insert each side on the sides of the mug. This may be tricky about the edges sticking just perfectly but the cup sleeve will hide most of the imperfections. 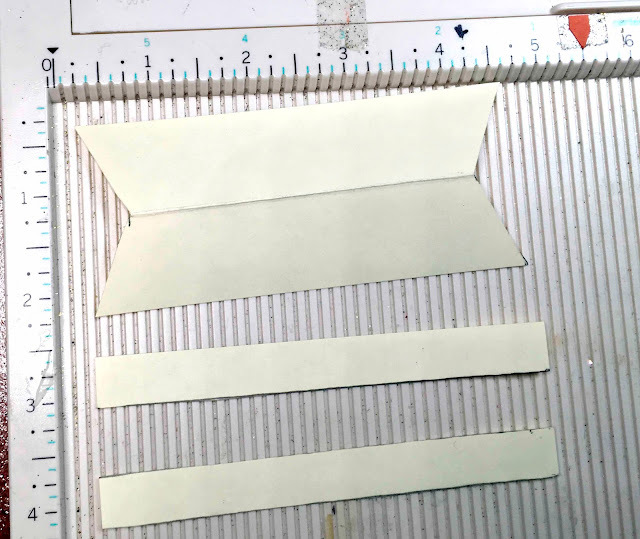 Also, if the the sides of the mug hang over of the mug or visa versus, just cut some of the top with the sides together so that the the sides and mugs are aligned. 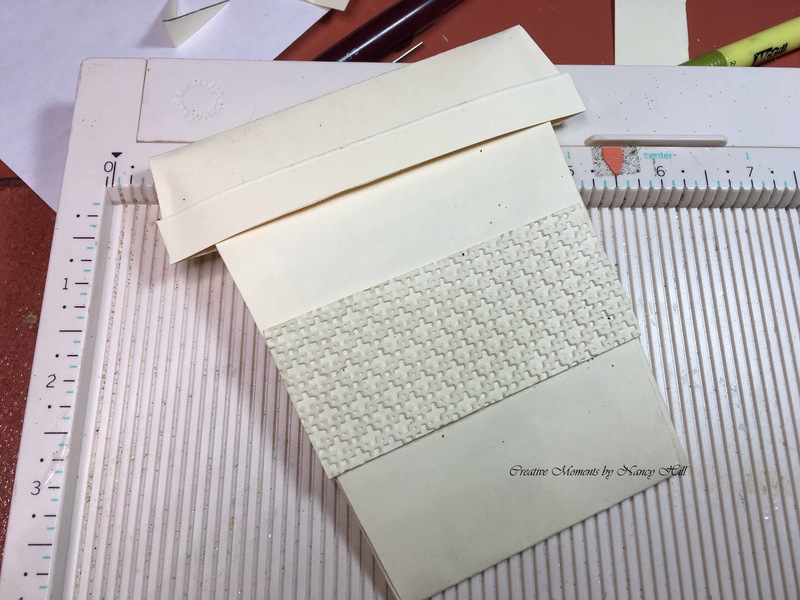 5) LID: Cut cardstock at 2 ½” x 4 3/4” and score in center at 1 1/4" and fold. 6) Mark ¼” on the top of the fold line on each side and cut from mark to corner of bottom on each side. 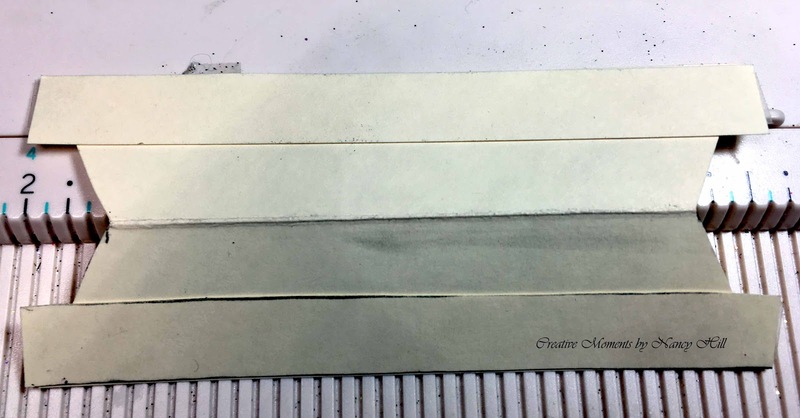 Glue a thin line the side edges and stick together. 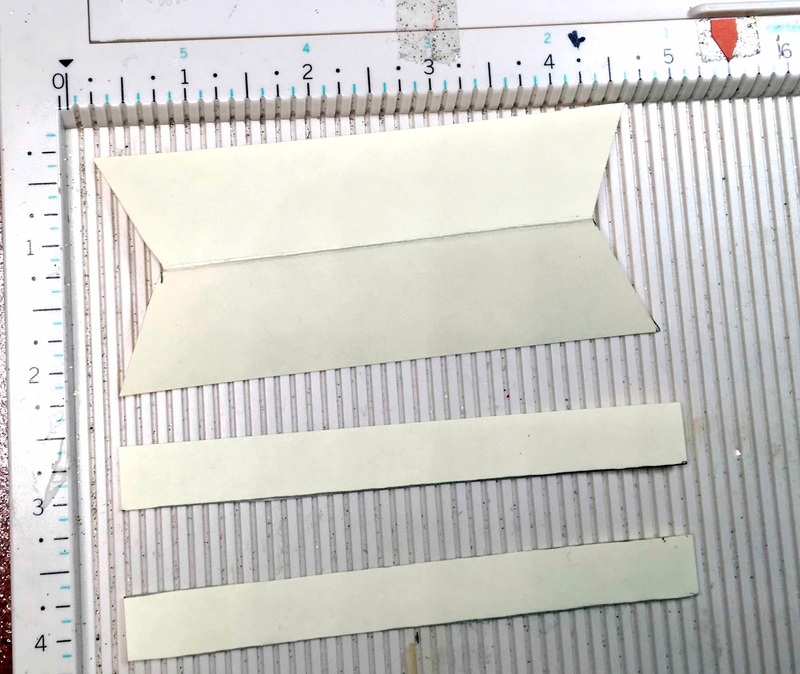 7) Side of Lid: Cut two strips measuring 1/2" x 4 3/4". Using two-sided tape, tape one strip on front and back of lid. 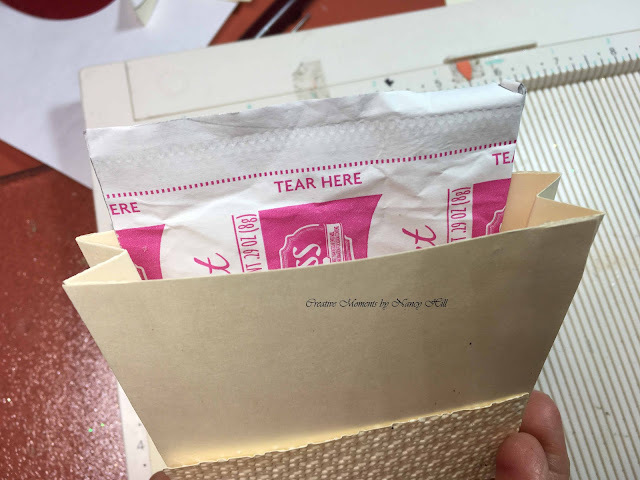 8) CUP SLEEVE: Cut 1 ½” x 3 ½ and optional to emboss or stamp the cup sleeve. Glue to the front and if you want the back to match the front, repeat these steps. After glueing the cup sleeve on the mug, cut any part of the cup sleeve extending over the edge of the mug to make it fit the mug better. Now is your turn to use your imagination and creativity to design your own paper mug and have fun personalizing it and putting some goodies in the mug for that special person. I can't wait to see the possibilities that you will create making a coffee or tea mug from the coordinating dies and stamps from Frantic Stamper on-line store.